So it is the question of the week … do you now know who Joesph Kony is? I’m sad to admit that I did not before this week. 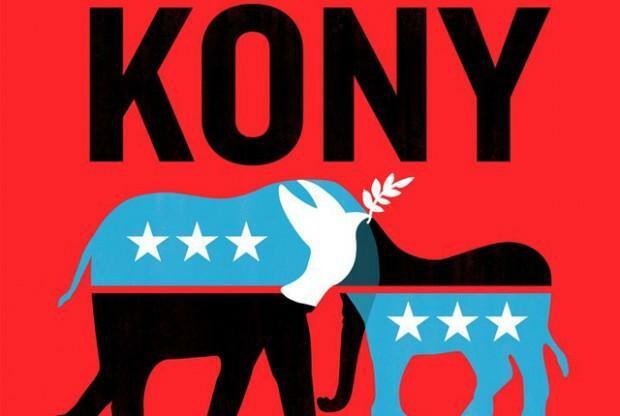 If you have not taken the thirty minutes to watch the video I would strongly encourage you to do so; if not to learn about Kony, to learn about the campaign. I was in bed sick this week, for a solid 48 hours, so I suppose I’m a little behind on the initial wave of conversation. Being a little late to the game, however, puts me right alongside the controversy that has welled up in the aftermath of the storm. I cannot explain the amount of disgust I have in my core for those people looking to disarm Invisible Children through criticism and controversy. It doesn’t bring me disgust because I don’t think charities shouldn’t have to answer to those people who have given to the cause. It doesn’t bring me disgust because each claim brought to the surface of the Kony ‘controversy’ is utterly without some nugget of truth. It brings me disgust because we have taken our deep seeded need to bring the negative and are trying to slow down this revolution. This youthful revolution; with the ability to teach humans about atrocities happening around the world. A campaign that uses social media for good. A chance to give our youth a feeling that they MAY actually be able to DO something in this God forsaken place in which we brought them to. I honestly can’t think of many scenarios, and I have been thinking, that would cause me to look down upon this campaign. If the staff of Invisible Children are living well on their salaries, I extend nothing but grace and peace to each and every one of them. I hope and pray after they see Kony put in jail they use the resources and blessings given to them by God to move on to someone else. It says in the Bible eight times that we should pay a man his worth … has the term priceless ever seemed more appropriate than at this possible place of justice? Because someone who is burnt out, worn out, and maxed out will not be able to continue to do their good works. I know personally, the hope I see in this campaign, is a good work I could certainly stand to see more of. Let this campaign thrive. Let it breathe. Get excited about it. Share the hope surrounding it with others. Do not let ugliness inside. If there are people determined to expose ‘truths’, behind the masks of what we are shown, they have a sea of choices here in the United States; our politicians, our propaganda, our food, our farmers, our corporations, our stores, our consumerist greed, our materialism, our idolization, and on and on and on. My gut tells me though, that the people ‘exposing’ Kony 2012 are doing so for the exact reasons they are using against the campaign … namely, greed. Let the people without a voice make a difference. My God, at least let them try. Don’t be the reason justice isn’t brought … better yet, be part of the reason it is! This entry was posted in The World Around Us and tagged invisible children, joesph kony, Kony 2012, Kony controversy, uganda, visible children by Stephanie Danielson. Bookmark the permalink.